Some leaders grow into the job, Save Jerseyans. Phil Murphy may not have enough time to evolve given how much growing he needs to do. 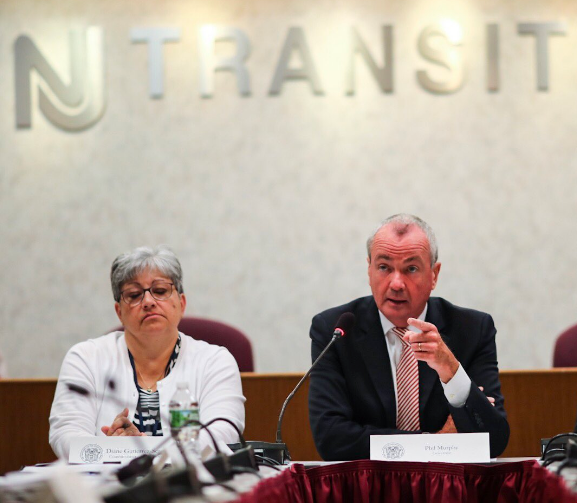 Today in Newark I addressed recent @NJTRANSIT delays and cancellations. Not very leader-like, especially given that his Administration seems to be making things worse. But Murphy could have gotten a better idea of what he was facing IF the audit he promised had ever happened. The audit was promised during the campaign. He signed the executive order in January. Finally, in April, a $1.3 million dollar contract was signed with an Atlanta firm. At that time? NJDOT promised a ‘preliminary assessment’ within 90 days in advance of a full report in the fall. We still don’t have the preliminary report, and the 90 day mark is upon us. We should’ve had the results back in the spring, or early summer at the latest, had unacceptable bureaucratic delays not held everything up. Murphy simply didn’t prioritize it! My question: how do we KNOW that NJ Transit is “underfunded” until we see the audit? NJ Transit is already slated to spend $3.7 billion in the next year. This is the same organization that paid $4.4 million to rent an empty floor for two years. Pointing fingers is bad enough. Suggesting a solution without facts to support the conclusion is exactly what you’d expect from a leader who isn’t growing into his role. Next Next post: Which Eagles, Giants players protested the National Anthem on Thursday?